When Alfie and I were dating long distance, having a webcam was a lifesaver in keeping our relationship alive and well. And having a phone and webcam comes in so handy when we go on vacation to the Philippines or the UK, when I usually stay an extra week or two with the kids while Graham goes back to the US and works. Imagine what it must be like if you were away from your family for months at a time! Online retailer AllAmericanDirect.com is doing their part to help out American military personnel who are away from their families for extended periods of time. Their Laptops for Flat Tops program awards 2 laptops with webcams to deserving military families, every 2 months! If you have a family member serving in the military and think a laptop with webcam can help keep the family bonds strong (or know a family who does), enter here. Their summer contest starts tomorrow, June 1. Summer is here, and the Disneyland Resort is hot, hot, hot! I've just heard the news: they've got a new street show, Celebrate! A Street Party, new fireworks show, Magical, new characters in their popular Fantasmic! shows, and new floats and lights for my favorite parade ever, the Electrical Parade. And when I say "hot", I don't mean "heating up the environment" -- the Electrical Parade now uses LED lights, so their kinder to the planet. * Get 2 nights free when you buy three nights at a Disneyland Resort hotel, or a nearby Good Neighbor Hotel. The package includes park-hopper tickets for each day, as well. That's five days of fun for the price of three! Check it out at www.disneyland.com. * Get one day’s free admission to a Disneyland Resort park on your birthday with valid ID. Register for Free on Your Birthday at www.disneyparks.com. * For Southern California residents, the Summer Fun Pass is a fabulous deal -- 3 days for $99. Yes, that's only $33 a day, between June 1-Aug. 23. * Damn, you SoCal residents get such sweet Disney perks! Here's another one: the Southern California 2fer Ticket enables guests to visit either Disneyland or Disney’s California Adventure one day, then come back on another day to play in the other park, for free! Our old camcorder is on its last legs; no, actually it has no more legs. The image quality has deteriorated and the battery life has dwindled to about 5 minutes. I wonder if they even sell replacement batteries for this model; it's older than my daughter. We've still got a lot of recitals, soccer games, and class performances ahead of us, so I think it's about time to think about changing camcorders. One brand that would definitely make the short list is JVC; they have a stellar reputation for high quality hi-tech products, and with their wide range of JVC Everio cameras now available, there's sure to be one that matches our lifestyle and budget. I like the look of the Everio S series; the price, size and ease of use are all great. But then again, I'm also looking enviously at the Everio HD series. Who wouldn't want to shoot your little angel in her spring ballet recital in full HD glory? Isn't she worth that little extra bit? Oh, the decisions, decisions! 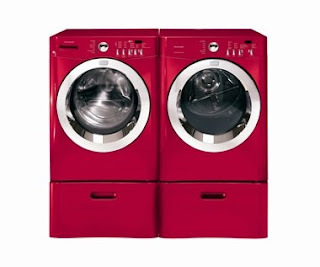 Whatever model you end up with, you can't go wrong with JVC Everio. When I received a sneak preview cd of Global Wonders: Around the World cd, I didn't have to play it to know it was going to be good. because we already own one of their DVD's (Global Wonders). I love the cultural awareness that these DVD's foster and we all thought the music was great, so I figured we'd love the cd too. Of course we did pop it into our cd player, and it did not disappoint. The songs are a mix of favorites from around the world and original music. They're culturally authentic; Alfie and I had a great time figuring out each song's country of origin (I won). They're also light enough for kids to enjoy and short enough to hold their interest. My kids were so proud to be able to identify the Indian, Hawaiian, Irish and American songs, and they didn't stop listening to the music and looking at the track list until they could remember which country each song came from. We've been listening to Global Wonders for less than 2 weeks and we've already got favorites. Mine, hands down, is the Cuban track Ay Mujer. I love, love, love dancing salsa and merengue, and this song has such a catchy beat that it's difficult for me not to get up and dance. The Pea feels the same way about The Great Irish Gallop; she can't stop skipping and hopping and pretending she's auditioning for Riverdance. Alfie is partial to the sweet Nawlin sounds of When the Saints Go Marching In, and 3Po and Jammy like the Hawaiian Tiki Dance. 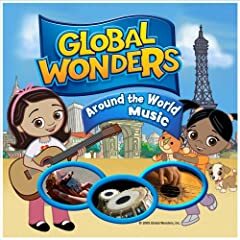 Global Wonders: Around the World Music was just released on May 26 at Amazon.com and other retailers, and I highly recommend it for your child's musical library (or your own!). It's really a wonderful sampler of global music, but to me it does a whole lot more than entertain. My kids are learning that music comes in all flavors and colors, and, like everything else, if they give it a chance, all of it can be sweet to their ears. I love knowing that my kids are going to grow up and hear a great many styles of music , andthey won't think it sounds weird and "foreign" (I hate that word) to them because they've heard it all before. Thanks, Global Wonders, for helping my kids grow up to be citizens of the world! These are limited-time offers so act quickly! A couple of weeks ago The Pea went on a playdate with a classmate after school. When I drove by to pick her up, no one was home. I tried to call her mother's cellphone... no answer. Father's cellphone... no answer. I called another friend, and it turns out that the mother works on Fridays so the kids should be at Grandma's house. I had no idea who Grandma was or where she lived or what her phone number was. FULL-BLOWN PANIC!! The ironic thing is, she does have a cellphone. I was given a Kajeet phone -- a cellphone service especially tailored for kids -- to review, and I hadn't activated it yet. I was driving myself crazy, wondering whether The Pea's friend had forgotten about the playdate and gone home with her grandma, leaving The Pea to wander around the schoolyard until some crazy child killer picked her up. If only I had given her the phone!!! Fortunately, the dad finally answered one of the hundreds of voicemails I had left on his phone and reassured me that Grandma did know about The Pea going home with them. Everyone was safe and fine (except me, of course). Lesson learned: If you're going to be dropping your kids off at this class and that playdate, if you want to play it safe, give them a phone so you can reach them. I activated the Kajeet phone the next day. The problem, of course, is that cellphones themselves can pose a danger to a young child -- think bullying text messages, marketing calls for all kinds of inappropriate material, predators calling. Think of running up sky-high bills. That's where Kajeet comes in. They have really thought it through and come up with a cellphone service that reassures parents and protects kids while still giving kids just the right amount of independence and cool features. * Parents control how their child uses the phone: who they can call or text, who calls or texts them, when they can call, how much money to put on the phone, what features they can access. It's all done via an easy online interface. * For the true worrywart parents such as myself, they even have a GPS Locator service, so you can go online and see where your kid's phone is on a map. * The plans are affordable and flexible. You can choose from several monthly plans or pay as you go for 10 cents per minute of airtime and a 32-cent daily access charge. We chose the $4.99 per month plan because we're not expecting The Pea to be having any marathon phone sessions with her BFF's just yet. But we can switch plans any time we want -- there are no contracts, activation fees or termination fees! * Even with all that, it's a cellphone, not a shackle. The service is packed with features that kids love: ringtones, games, picture messaging, texting, and all kinds of stuff I'm not cool enough to know about. The phones are high quality, high tech products from LG, Sanyo and Samsung, not junky, soo last-century models. Our Kajeet phone even came with cute little stickers to decorate it! 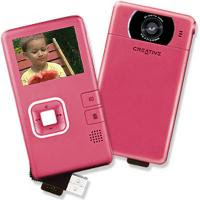 Would you like to win a Kajeet phone for your own child? We're giving one away to a lucky Bonggamom Finds reader! To enter, visit Kajeet.com to learn about all the cool features for kids and sensible features for parents. Then come back here and leave a comment on this post telling me which feature you like best. (this entry must be completed for any extra entries to count). 1) Follow Finding Bonggamom on Blogger (leave a comment with your Blogger profile name). Please leave a separate comment for each extra entry (don't list down all your extra entries in 1 comment!) . This giveaway ends at midnight PST on June 6, 2009.; I will draw a winner at random on June 7 and post their names on the same day. For additional giveaway rules, click here. Good luck! Are you a parent who blogs? Are you feeling left out because other bloggers get asked to review cool, new stuff? Do you want your own Sneak Peek? Have you run out of things to blog about? Or do you just want to try something cool with your kids? Then Get Ready....Set....Blast Off!!! A new virtual world is about to launch into orbit, and the engineers want YOU to be a part of it. From the masterminds that brought you the hit TV series The Zula Patrol comes Zula World, a new, out-of-this-world virtual destination for kids ages 5 and older. Kids can create their own aliens, fly their own spaceship, purchase pets and food, play games -- and discover that when it ocmes to science, exploring does NOT rhyme with boring. We've been testing the site for a couple of days and the kids are all having lots of fun finding their way around. I've even got my own alien, cutiepie, interacting with my kids' aliens! 2) Build your child's alien by creating a free Zulaworld account (click on "Free Member"). You'll have to enter your email address because they'll send you a confirmation email that you have to click on to activate the account. 3) After you've activated the account, go back to the beta testing site and click on "become VIP member". Go on, space rangers, try ZulaWorld out and let us know what you think! And hurry, this offer expires on June 1st, 2009! I'm shameless when it comes to blogging. I honestly think I could blog about anything; I don't mind embarrassing myself but I refrain from sharing embarrassing stories involving my husband and kids and friends and family (unless they let me). Take my kids' bowel movements. I could blog about how my kids are "champions" when it comes to holding it in. I could blog about constipation and clogged toilets -- boy, have I got some horror stories! -- but the shame of it might put them into therapy for years. I'd much rather blog about how easy it is to fix that, uh, tough, problem with probiotics. When one of my kids is feeling, shall we say, clogged up, probiotic yogurts like Activia work like a charm, but I've often wished there was something other than yogurt that would have the same effect. I recently found out about a probiotic supplement made just for kids -- Florastor Kids. It's a powder (to be precise, it's a probiotic made of live freeze-dried yeast cells that look like a powder) that you can add to your child's applesauce, milk, juice, or just about any food. Since it's natural and doesn't harm your intestines, it can be taken for more than 2 days to promote intestinal health and regular bowel movements. It can be stored without refrigeration so it's great to take with you when you're traveling to another country. And it's safe for children as young as 2 months of age! MomSelect and Florastor were kind enough to provide me with a sample of Florastor Kids for my kids; they sprinkled a bit on their tongue and said they liked the fruity taste. It doesn't spoil the flavor of whatever you add it to; in fact my kids said the taste of their applesauce didn't change at all. And it works -- so I don't have to blog about any embarrassing toilet stories! Would you like to try Florastor Kids? MomSelect is providing one lucky winner with a box of Florastor Kids. To enter, simply leave a comment on this post and tell me what works best for your child when he or she has a tummyache. This must be completed for any extra entries to count. 1) Follow Bonggamom Finds on Blogger(leave a comment with your Blogger profile name). Please leave a separate comment for each extra entry (don't list down all your extra entries in 1 comment!) . This giveaway ends at midnight PST on June 4, 2009; I will draw a winner at random on June 5 and post their names on the same day. For additional giveaway rules, click here. Good luck! I always like to check out the free downloads on iTunes, because as you know, I am a freebie whore. But I'm a high-class callgirl of freebies, not the crack ho down the street -- I don't download free music left and right, just because it's there. The music has to be something I'd listen to. This week's Free Single of the Week, Rise Up by Diane Birch, is one of those songs. I've always enjoyed church music, and Rise Up has a great blues-y, soul-sistah vibe (she's the daughter of a preacher and her debut album, out on June 2, is called Bible Belt). Her voice reminds me of Norah Jones -- yes, she's that good! Another of her songs, Nothing But A Miracle, will be available to download for free at Walmart.com starting June 1 (look for the "Features and Specials" tab and select "Free Track of the Week"). I can't wait to add more Diane Birch to my ipod! Delicious as a Dressing. Remarkable as a Marinade. Now you can get a chance to Upgrade Your salads with Wish-Bone Dressings... free! For a chance to win a Wish-Bone Dressing prize pack and a $100 grocery gift card, keep reading. Growing up, I ate way too much meat and rice, and not nearly enough vegetables. I remember the first time I tried lettuce and tomatoes. I was eleven years old and I nearly gagged! When Alfie and I started a family, I was determined to introduce vegetables to my kids at an early age. It hasn't been easy, but I'm happy to say that my kids have grown to like quite a decent range of vegetables, both raw and cooked. This year we're working on salads. They'll eat anything covered in caesar, blue cheese or ranch dressing, but I'm an ambitious type-A mom, and I'd love for them to try other kinds. 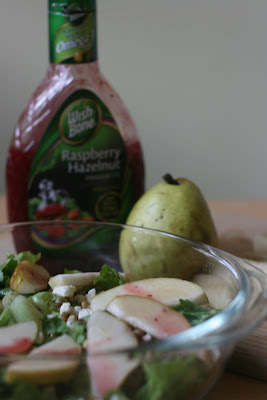 So I was beyond thrilled when BlogHer asked me to review Wish-Bone salad dressings for their latest campaign -- and offered to give away a Wish-Bone dressing prize pack and a $100 grocery card to give away. To read more about Wish-Bone dressings and to enter the giveaway, click here. Good news! Now you can double your chances of winning a premium membership to Jumpstart.com, the online 3D virtual world created by award-winning educational software company, Knowledge Adventure. In addition to the membership I'm giving away here at Bonggamom Finds, Jumpstart has generously offered to give away another membership -- this time at Being Savvy Silicon Valley! Leave comments on both giveaways for more chances to win. Kids love other kids. As babies, they are fascinated by books featuring photos of babies, and you often see them exploring each other's faces on the playground and at playdates. Most children's books are about stories of other children, and live action shots of children playing are regular features on popular TV shows like Barney, Sesame Street, The Wiggles, and so on. One of my kids' favorite books is Poor Pluto, a book written and illustrated by a third grade class in Lodi, California. So when I received a couple of books written and illustrated by a 7-year old boy, I was pretty sure my kids were going to like it -- but I was surprised at how much I liked them. Dalton James, a talented 7-year old boy, has written two lovely books featuring the adventures of a boy and his dad. In The Sneakiest Pirates, Pirate Pete and his dad Scurvy James set sail on an adventure to dig up some pirate treasure. The Heroes of Googley Woogley starts up where the first book ends, taking Pete and James (now known as Spaceboy Pete and Spaceman James) on an intergalactic quest for justice. I'm really impressed by the quality of writing in both stories. They are interesting, imaginative, fast paced, and cohesive, with just the right kinds of action that small boys enjoy -- swordfights, chases, and battles with evil aliens. They are so good that I almost wonder whether this is like one of those science fair projects that parents "help" their kids with -- and then Dalton comes up with things that only a 7-year old could possibly think of (A candy store on a spacecraft! Using pirate booty to start a rock star career! Cooking food as punishment! ), which leaves no doubt that the story is truly his. Both books are fun reads, and we can't wait to read more of the adventures of Pete and James . Who will they be next? Where will they go? Keep writing, Dalton James, so we can find out! Computers play a big part in our household. Alfie is a computer engineer who frequently works (or tinkers around with new technology) nights and weekends, and with all that I do online (shop, manage finances, manage the family schedule, blog, etc..) I feel like I'm in front of a computer all the time. So it's only natural that the kids want to spend all day in front of a screen just like mama and daddy. We don't let them, of course; computer time is regulated just like tv time, and we monitor the sites they visit to make sure they have significant educational as well as entertainment value. Recently I was invited to try out Jumpstart, a new 3-D virtual world for kids. The site is the latest product of Knowledge Adventure, creators of the award-winning JumpStart Learning System and Math Blaster series of educational children’s games. Encouraged by their stellar reputation for creating educational products for the home and classroom, I accepted the invitation and checked the site out with my eager children beside me. That was about a month ago -- and after a month of playing, I do believe Jumpstart has actually surpassed Webkinz World as my kids' favorite online world! To start with, kids create alter-egos called Jumpees. Like avatars, they can customize their Jumpees' hair, features, clothes and more. Then they are off to explore Jumpstart world by making their Jumpees run down paths, cross bridges and swim through lakes to enter various gates and doors where they can access various games and activities. 3Po and Jammy love sending their Jumpees down on the long, twisting slides or off cliffs on hang-gliders because, just like those virtual reality rides, they get to swoop up and down and experience it themselves. They even get to exercise their urge to have their Jumpees get "physical" in a pretty harmless way, by jumping over hedgehog-like creatures called PunkPunks. * Jumpstart accommodates such a wide range of ages and abilities (3-10). There is a different "world" for each age group and age-appropriate games and activities in each one. For example, StoryLand is where preschoolers can find age-appropriate learning games that teach important skills like letter and number recognition, phonics, patterns and more. Children in levels K-2 can visit AdventureLand, they can practice reading, math and critical thinking. And they are continually developing new worlds -- I read on the Jumpstart blog that they're working on an underwater mermaid world, sweet! * The Jumpstart world is so bright and friendly, no muscled commandos with bazookas here. The focus is on exploring and adventure (with lots of learning sneakily thrown in), not on shooting or shopping as so many other virtual worlds seem to be. * The site is extremely user-friendly. It's easy even for non-readers to find their way around because they are guided by the Jumpstart characters at every step of the way. They can listen to spoken instructions and tips at any time just by clicking on the question mark (help) icon. (Okay, I admit I've got a personal motive -- it means they spend less time bugging me and asking for help with the site, but hey it fosters independence and boosts their self-esteem and all that). * You only need 1 main account to play, and you can create multiple sub-accounts for each child. It means less hassle logging in and out -- which is great when you are overflowing with children and online accounts like I am. * Purchasing premium membership will get you the most benefits and access to the full-featured site, but you can also create a free Jumpstart account. So your child can experience the fun and learning in the Jumpstart 3D Virtual World even if your budget doesn't allow for the premium features. Would you like to try Jumpstart? Jumpstart is providing one lucky winner with a free premium 6-month subscription to the Jumpstart website! To enter, simply leave a comment here telling me which land in the Jumpstart 3D world your child would love to visit (Hint: Check the map!). This must be completed for any extra entries to count. 1) Create a free Jumpstart account and try the site out with your child. Then come back here and leave a comment with your Jumpstart user name and tell me one thing your child likes about the site. This will get you FIVE extra entries -- so you get to leave five comments for doing this! 2) Follow Bonggamom Finds on Blogger(leave a comment with your Blogger profile name). 3) Follow Jumpstart Erin on Twitter (leave a comment with your twitter id). Please leave a separate comment for each extra entry (don't list down all your extra entries in 1 comment) . This giveaway ends at midnight PST on May 29, 2009; I will draw a winner at random on May 30 and post their names on the same day. For additional giveaway rules, click here. Good luck! Heads up, Bay Area peeps: today I'm giving away tickets to the hottest show in town...... Sesame Street Live! Okay, it's only the hottest show if you think Elmo is the hottest redhead in town, but we all want to make our kids happy, don't we? And who can resist Elmo anyway? He's coming to San Jose and starring in his very own musical, Elmo's Green Thumb. My kids love musical shows and they're really looking forward to seeing their favorite Sesame Street characters sing and dance. Alfie is expecting a high-end, Broadway style musical with great special effects, and I think he won't be disappointed. And I'm looking forward to hearing my favorite Sesame Street song of all time, "Ladybug Picnic". It's all happening at the San Jose Civic Auditorium on June 12, 13 and 14 -- click here to buy tickets now! Sesame Street Live! has 4 different shows and is playing in 31 other cities, so if you don't live around here there's still a good chance you can find a show near you. You can buy your tickets now at any ticketmaster location or at www.ticketmaster.com. Tickets range from $15 to $30 -- so reasonable! -- and on opening night, June 12, all seats (except Gold Circle tickets) are $15! And here's more good news -- you can use the promo code SESAME to save $3 off per ticket! Would you like to win a family pack of 4 tickets to the San Jose showing of Sesame Street Live? I'm giving it away on my preschool activities blog, Being Savvy Silicon Valley! To enter, leave a comment on my Savvysource Sesame Street post and tell me how you and your children "Go Green". You can also get up to three extra entries -- read my SavvySource Sesame Street post to find out how. Good luck, and remember -- Elmo Loves You! Remember that new parenting website I blogged about last week, Mamapedia? They're holding a new contest with a prize so cool I just had to blog about it! The winner of their "What Can I Learn Today?" will recieve a VADO digital video camera, so join today!! 1. Visit Mamapedia and ask any parenting question. Vlog about Mamapedia and your question/answer at http://www.blogger.com/New. 3. Fill out this secure form to let us know that you entered. It's that easy! In fact, it's so easy that I joined myself! I went to Mamapedia and asked something that I've been thinking about for a while -- what is the best age to start kids on piano lessons? The Pea has been asking about piano and guitar lessons recently and I wondered whether 8 was a good age to start. I know kids start younger, but I've also heard that many teachers recommend waiting till 2nd or 3rd grade. The Mamapedia site had 28 responses for this topic! The recommended age range seems to be around 5 through 9, so I guess I'd better start looking for teachers! See? Just go and ask any question you want, and benefit from Mamapedia's collective wisdom. Then join Mamapedia for another SiteWarming Party on Twitter Saturday, May 23rd from 9:00 to 10:00 p.m eastern time to find out who won! There will also be several great door prizes. *This contest is open to all U. S. residents 18 years or older and ends May 23rd at 9:00 p.m. eastern. *This contest courtesy of Momfluence - Rocking the Cradle and Shaping the World. With Mother's Day fast approaching, the kids are full of questions and secrets: What are we doing for Mother's Day? What do you want for Mother's Day? I've got a present but I can't tell you what it is. What I really want is what most mothers want -- some time to myself. Preferrably at a nice spa, but the key word is TIME. Time free of the boring stuff -- laundry, washing up, cleaning. Luckily, there's a company out there who understands a mom's desire to spend less time doing routine housework and more time doing what we love. Frigidaire, the appliance brand known for their legendary reliability, is unveiling 250 new appliances designed with specific time-saving features to free up some "me time". So what would you do with some free time? Visit Frigidaire.com to share the five things that you would do with an extra hour in your day for a chance to win an entire suite of the new time-saving Frigidaire appliances. Alfie and I like to read a lot. Sometimes when we're feeling particularly witty and verbose, we like to impress and outdo each other with our extensive vocabularies. We especially love catching each other using malapropisms. So when I received an offer to try out Apples to Apples, The Game of Hilarious Comparisons, courtesy of family entertainment site http://www.timetoplaymag.com/ , it seemed right up our alley. In Apples to Apples, players get dealt red cards with nouns on them. A communal green adjective card is dealt, and players have to submit one of their red cards that they feel best matches the green card. A judge chooses the best red card, and the round goes to the player who submitted that card. There's a wide variety of nouns, including proper nouns like "Albert Einstein" or "UVB Rays", and you never know which nouns you're going to draw, so the comparisons can be quite hilarious (Which would be more "Harmful" -- "Count Dracula" or "High School Bathroom"?). The game has won multiple awards, and it appears on toy expert Jim Silver's list of top games for Family Game Night. So even without playing it, I suspected it would be a really fun game. The only problem with Apples 2 Apples, for now at least, is that we need to wait for such long stretches of time before we can gather enough adults to play the game (I received the game almost 3 months ago and we're so pathetic, it took me all that time to get 2 other grownups together!). Because the age range is 8 and up, my 5 year old twins are too young to fully enjoy it. Or so we thought, until about a week ago. The Pea has been playing Apples 2 Apples JR at her friends' house and raving about how much fun the game is. She asked me if we could play Apples to Apples, so we devised a modified game. Jammy teamed up with Alfie, 3Po teamed up with me, and we explained all the terms as best as we could. The Pea played on her own, and we let her switch cards if she didn't know the word. We ended up having a great time! As an added bonus, by playing the grownup version, they're developing their vocabulary and thinking skills. So is now Apples to Apples is officially a Choice for our Family Game Nights! Would you like to win Apples to Apples for your own family? We're giving one away to a lucky Bonggamom Finds reader! To enter, leave a comment on this post telling me your favorite Family Game Night board game (this entry must be completed for any extra entries to count). 1) Read Jim Silver's list of Top Summer and Outdoor Toys, then come back here and leave a comment telling me which of the toys your child would most like to play with. 3) Follow Finding Bonggamom on Blogger (leave a comment with your Blogger profile name). Please leave a separate comment for each extra entry (don't list down all your extra entries in 1 comment!) . This giveaway ends at midnight PST on May 21, 2009.; I will draw a winner at random on May 22 and post their names on the same day. For additional giveaway rules, click here. Good luck! Debi Derryberry.... say that three times, really fast. It's a name that kids really like, and judging by the number of awards she's won for her previous 2 cd's, they like her songs too. I recently got a sneak preview of Debi Derryberry's latest cd, Baby Banana, which is being released in stores today. Children really seem to respond to her simple, repetitive lyrics and her childlike voice (she's actually the voice for Jimmy Neutron, Clay from Playhouse Disney, and lots of other cartoon characters!). But these songs are definitely not cutesy nursery rhymes. They're got a really nice, strong rhythm, a mix of calypso, reggae, jazz and folk. When I asked The Pea what she loves most about this cd, she responded immediately, "The beat!". The cd also features Debi reading her "Baby Banana and the Licorice Tree" storybook, about a baby banana with a duck for a momma and a gorilla for a daddy. I like having the story at the end because it makes a nice change of pace for the kids, especially when they're listening to the cd in the car on a long drive. Don't miss the end of the cd as Debi has a cute little voice over that always sends 3Po and Jammy into peals of laughter. To hear it, you'll have to buy the cd yourself -- trust me, it'll be a cd that your kids will love! You can find out more about Debi Derryberry and Baby Banana at www.mybabybanana.com, which has video clips and information about upcoming concerts and appearances. Kids will like the website too -- it has games, coloring pages and recipes. Leave a comment on this post telling me one your favorite ice cream flavor. (this entry must be completed for any extra entries to count). Don't forget to leave your email address so we can contact you. 1) Subscribe to Bonggamom Finds (leave a comment with your Blogger profile name). 2) Subscribe to Finding Bonggamom (leave a comment with your Blogger profile name). 3) Follow Bonggamom Finds on Blogger(leave a comment with your Blogger profile name). 4) Follow Finding Bonggamom on Blogger (leave a comment with your Blogger profile name). Please leave a separate comment for each extra entry (don't list down all your extra entries in 1 comment!) . This giveaway ends at midnight PST on May 19, 2009.; I will draw a winner at random on May 20 and post their names on the same day. For additional giveaway rules, click here. Good luck! It's 2:00 a.m. and your three month old is crying...a lot. You're a first time mother, and while you've got a ton of questions, you called your mom at 2:00 in the morning last night about that crazy looking diaper, so you'd really like to get through this one on your own. But where can you turn? "Why does my baby cry so much at night?" And this is what you'll find - an article about a mom who asked a question titled "Sleepless Nights with a 13 week old" and the responses of forty-four moms. You can read those forty-four answers while bouncing your baby, and with a little luck by the time you are through your infant will be fast asleep and you will feel better as well. To launch this new mom resource, the Momfluence network and Resourceful Mommy are throwing a party. Join us on Twitter this Friday, May 8th, from 9:00 to 10:00 p.m. eastern time along with mom experts in a variety of parenting areas: multiples, kid crafting, health and safety, potty training, home schooling and more! During the party, details about a "What Can I Learn Today?" contest will be revealed...along with the incredible grand prize. This event brought to you by Momfluence: rocking the cradle and shaping the world. I love giveaways! I love hosting them, tweeting them, joining them. I think it's so cool that companies care enough about what bloggers think to partner with them in order to get the word about about great products and services. It's a win-win for everyone: the companies that get more exposure, the bloggers who get more traffic to their sites, and readers who get a chance to win great products. Did I mention I love giveaways? One of the best ways to promote giveaways is to join bloggy carnivals, and one of the best carnivals around was the Bloggy Giveaways Carnival. Sadly, that site cancelled its carnival -- but fortunately, Mom Most Traveled has taken it up. She's hosting her first Giveaway Carnival this week, and already there are over 100 giveaway listings. Head on over to see what great prizes are up for grabs this week! When it comes to Disney vacations, I usually blog about great offers to visit the Disneyland Resort in Anaheim because it's so much nearer for us. I think that at my kids' age, Disneyland and California Adventure is more than enough to stimulate (or overstimulate) their little minds and bodies. Here's another free Disney Download to share. It's a scene from Disney's new movie Up, which opens May 29. 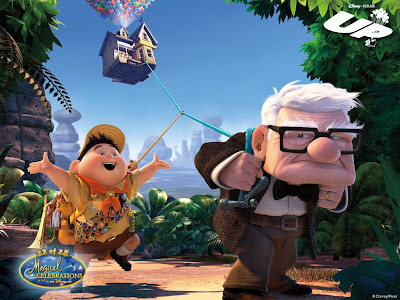 The movie tells the story of 78 year-old Carl Fredricksen (voiced by Ed Asner, but from the trailers I've seen, I swear he's channeling Walter Matthau) who ties thousands of balloons to his house and floats away to the South American wilderness, only to discover he has taken a nine year-old stowaway with him. I'm a big fan of Disney animation, so you can bet I'll be watching this one. Tickets to Sesame Street Live! ..... and more! Hope you can all make it to the party!